It’s all about yoga, meditation and finding your Zen, breathing in fresh sea aromas and posing for perfect pictures in clear blue infinity pools. We all dream of that perfect spa break to take us not just away from home but from our daily stresses and strains. You’ll be glad to know the Algarve is not just for golfers and families but is home to some of Europe’s best 5 star spa hotels. Just a short hop from the UK the Algarve is perfect for a short spa break or a long relaxing holiday so you can return home with a new, relaxed and positive outlook. If a spa holiday is what you’re looking for and 5 star is your style see the below 5 star spa hotels in the Algarve for the perfect relaxing holiday. Step in to paradise and experience the luxury of one of the Leading hotels of the world. Situated in extensive grounds this exquisite hotel has perfect doses of Portuguese design and modern grandeur. 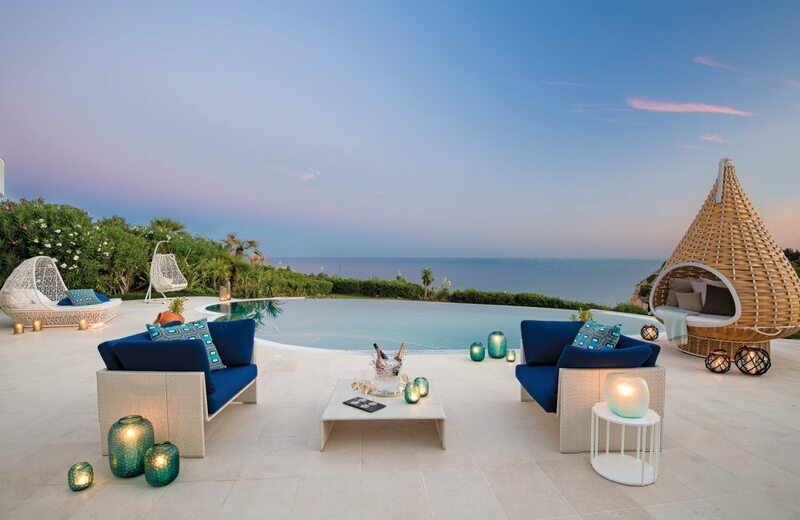 Clean Atlantic air lingers through the refreshing and impossibly green gardens in to the white clean peaceful buildings and out of this world villas. The Spa- The hotels spa is lovingly run by leading specialists using the finest standard of products. Designed as a sanctuary and refuge to unwind, the luxury feel of the Vila Vita Parc resort extends to the spa. The highly experienced therapists can tailor make treatments and recommend classes and regimes for ultimate results. Amongst the huge array of treatments and facilities on offer guests can additionally utilise trained Physiotherapists, an osteopath and more medical based treatments. From the first moment entering the lobby at The Lake Spa Resort there is an air of unassuming and effortless luxury and calm. 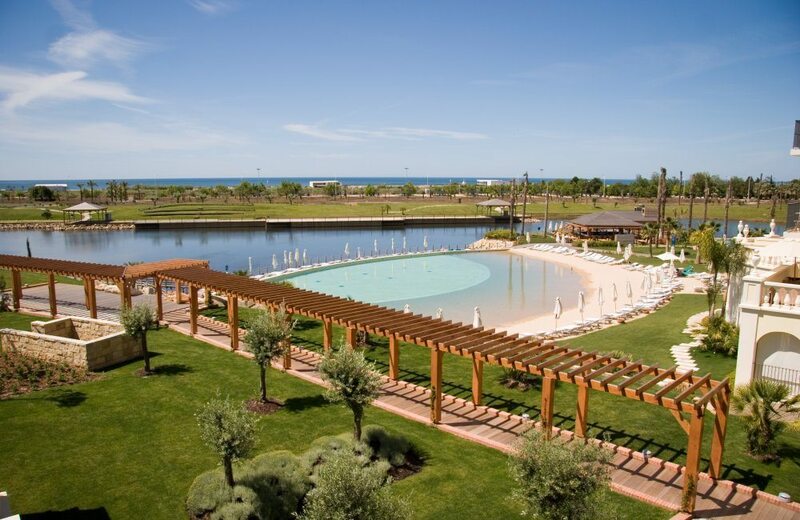 Its sand swimming pool and natural lakeside location demonstrates its commitment to being natural and authentic. The staff love their hotel and this shines through in their service standards and commitment to letting you simply enjoy a relaxing holiday. The Spa- Separated in to 2 sections ‘blue and ‘green’ the spa is set apart by its superb and highly experienced staff who will effortlessly recommend the perfect treatment. The blue section of the spa is home to the traditional thermal circuit and hydro jet swimming pool meaning the green section can solely focus on treatments and healing. 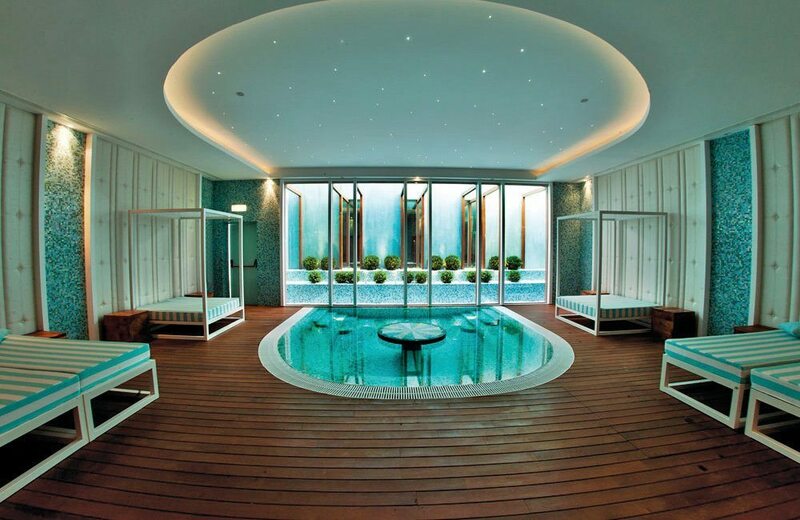 The treatments are inspired by global cultures from Japanese Shiatsu to Indian Ayurvedic and more. Being a benchmark of luxury in the Algarve the Conrad Algarve oozes 5 star elite club class feel and contemporary modern style. Near Quinta do Lago the hotel is just a short drive for outstanding golf courses and stunning golden beaches. Guests can enjoy the stunning heated infinity pool and indulge in the decadence of this classic 5 star hotel. The Spa- The Conrad Algarve adopts an innovative approach to spa and wellness with a huge range of treatments to meet almost any individual need. 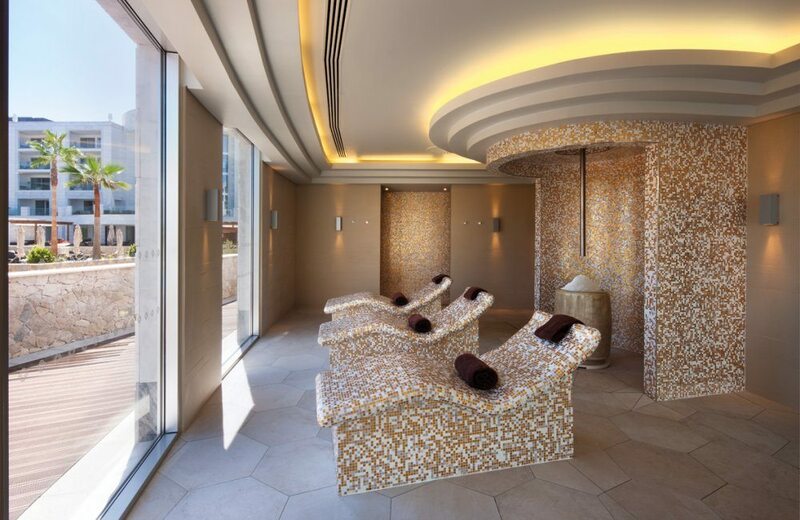 Featuring unique oxygen and inhalation techniques and innovative experience showers the spa focuses on returning the stressed body to a state of normality and equilibrium. Open 8am-8pm for adults only. A beautiful resort hotel designed for relaxation and fulfilling the guests every need be it golf, sport or spa. The Hilton Vilamoura As Cascatas has numerous swimming pools, cascading waterfalls and spacious gardens giving the hotel a spacious florida-esque grotto feel. The Spa – 7 Spa is Portugal’s largest spa at 2800m2 equipped with numerous indoor swimming pools, indoor waterfalls and winding underground tunnels and chambers. 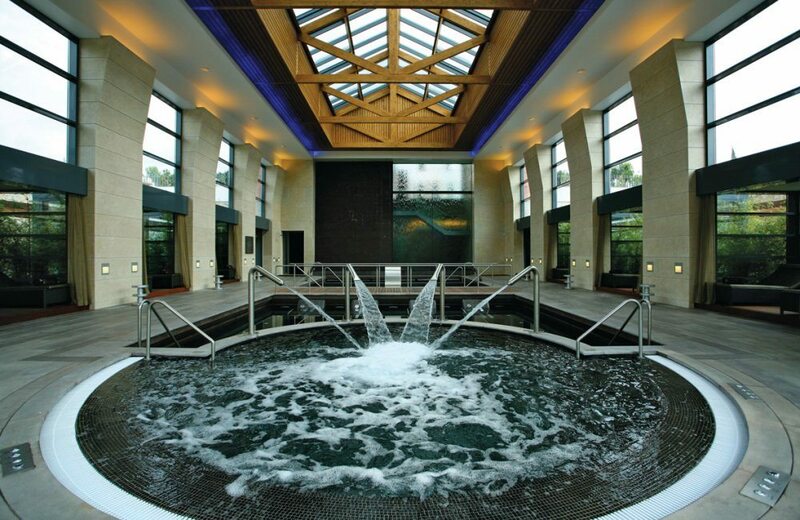 The underground spa is an impressive complex with peaceful caverns and an effortless air of Zen and tranquillity. Enjoy the traditional thermal circuits, innovative weather shower and extensive range of treatments to complete an ultimate spa experience. Open 9.30am – 9pm Monday – Saturday and till 8pm on Sundays. The spa is restricted to ages 16 + and restricts the use of mobile phones. Its highly recommended to book in advance. A beautiful old manor house lavishly designed with dramatic art deco tones and modern artistic flare. Unique furniture and colourful rooms make the adult only Bela Vista Hotel a perfect luxury boutique experience. Situated by a large stretch of beach with perfect golden sand and clean shallow waters there is everything you need for a luxury spa break. The Spa- The 400m2 Spa at Bela Vista is by well-known brand L’Occitane and due to popularity is open not just to hotel guests but public too. Descend the stairs from the main entrance and let the senses be met by therapeutic aromas and tranquil shades of blue and green décor. L’Occitane have been around since 1976 and really know their stuff. Every treatment is authentic and designed by expert therapists who take inspiration from the local environment and power of all of the senses. Open 9.30am – 7.30pm the spa is also equipped with five treatment rooms, Sauna and Hammam. For those looking for an ultimate relaxing getaway or want to know more about these fantastic hotels get in touch with our experts on 0800 047 1066. We can tailor make a spa holiday to suit you.